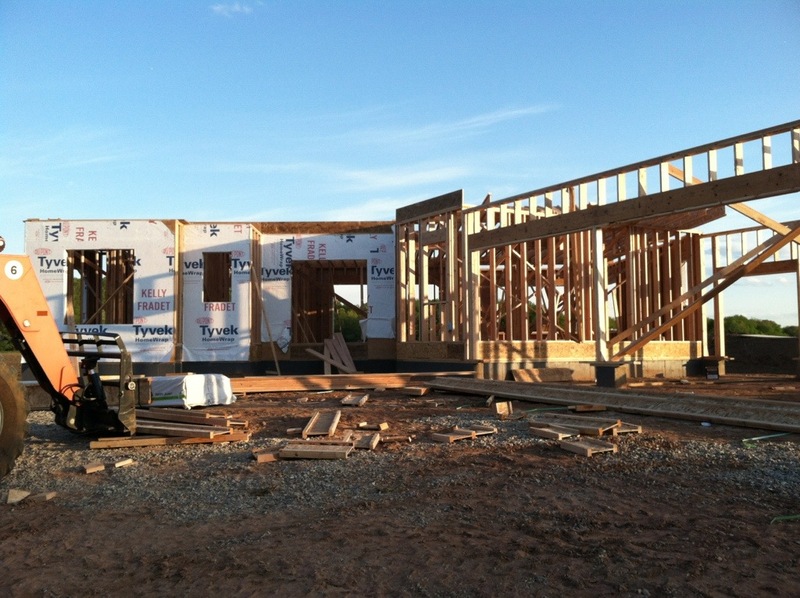 Can’t believe the first floor of our house is already framed and they are starting the second. 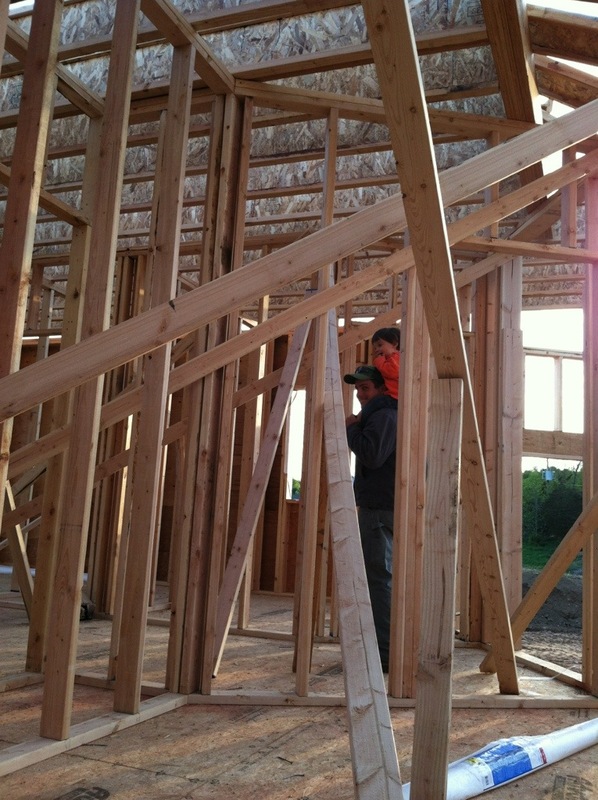 It’s so neat to be able to walk through the rooms rather than looking at the blueprint. 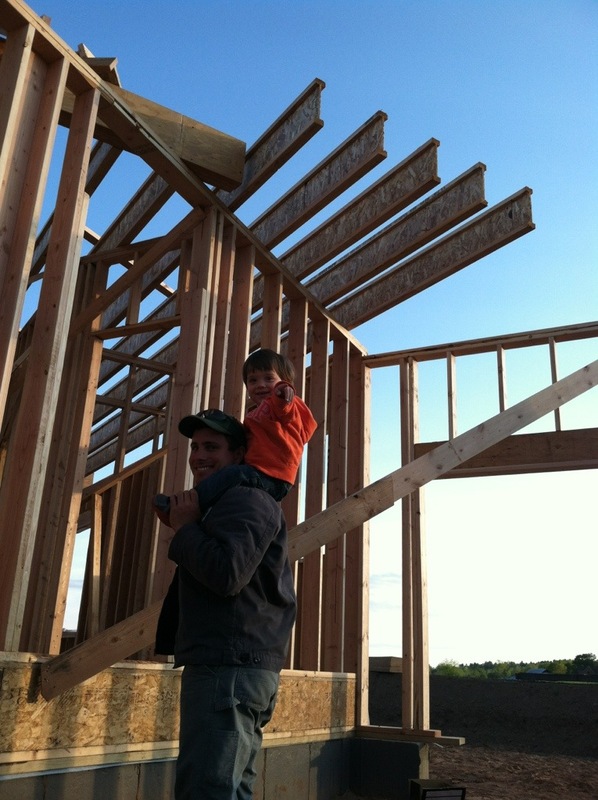 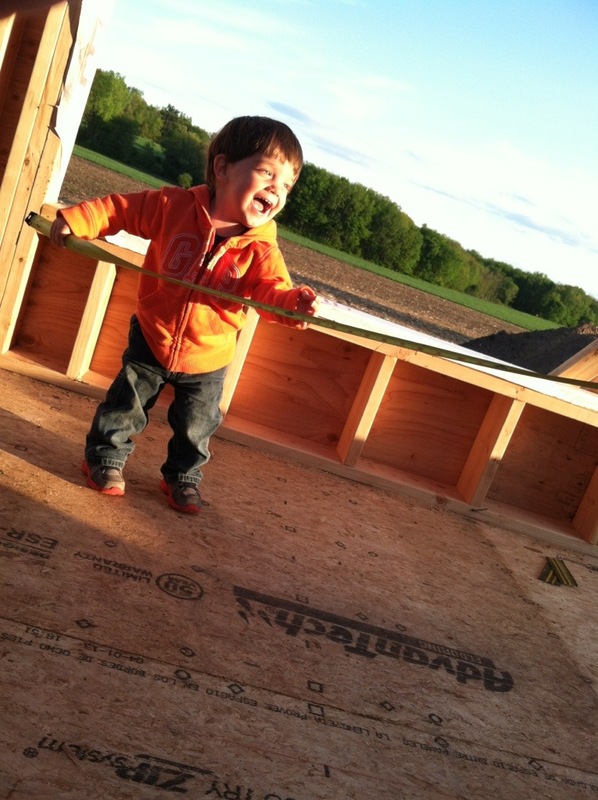 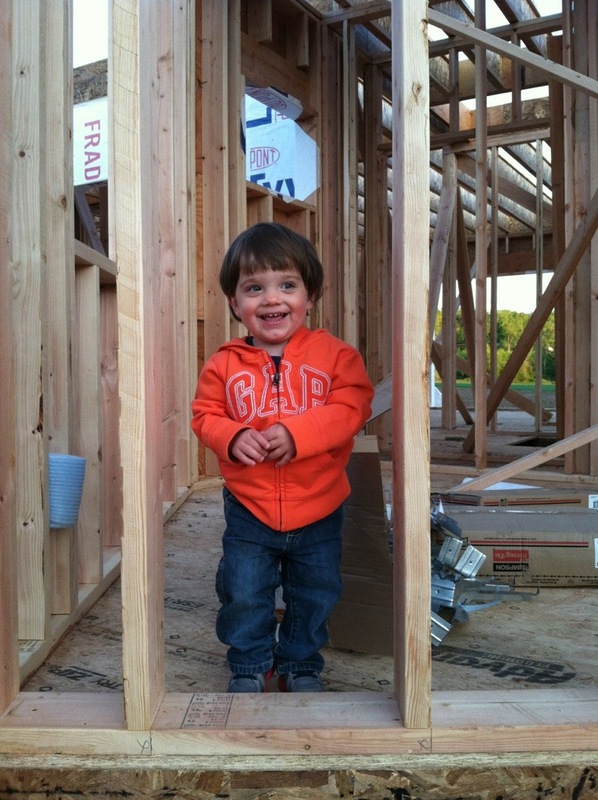 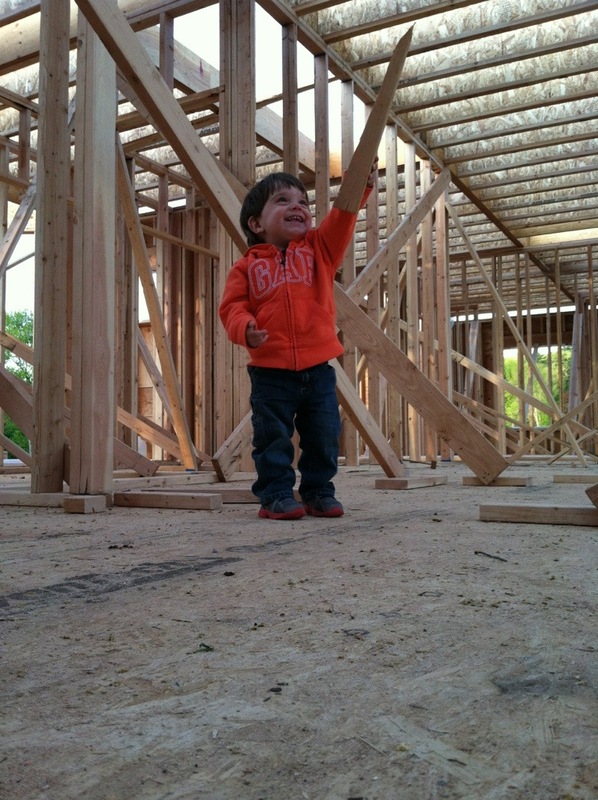 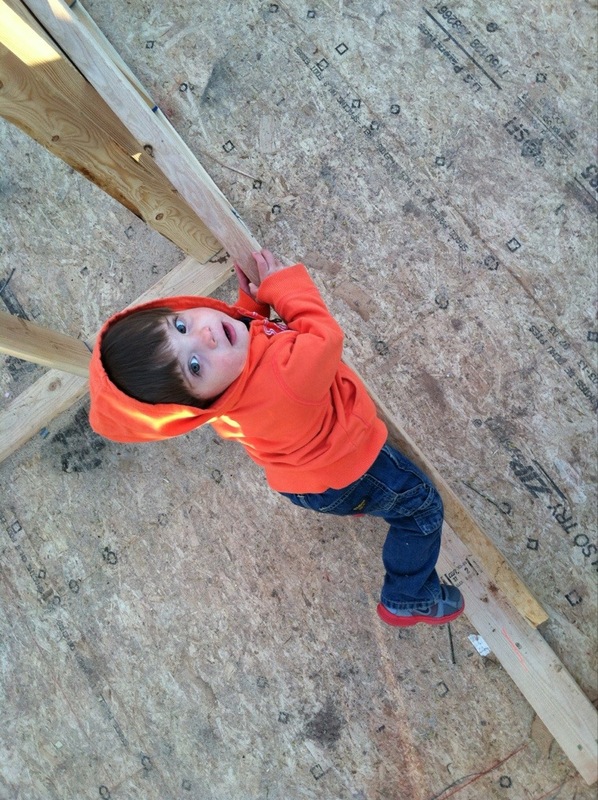 Jaiden loves going to the ‘new house’- so much to climb on and scrap wood to make pretend swords!